This client wanted the laundry room of their dreams, and our design and installation team delivered! Custom cabinets with built-in features, such as a drop-down ironing center, complete this laundry room remodel. 2-piece crown, filler, toe cover, misc trim, etc. 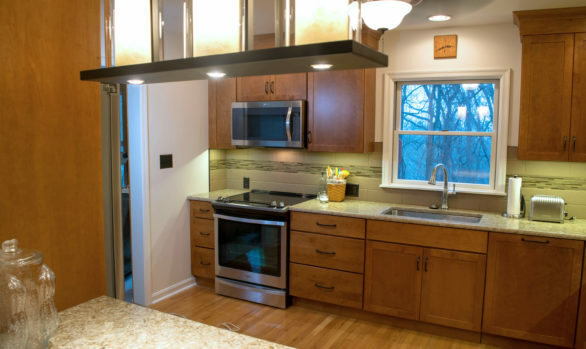 Our professional design and installation can help you get the home of your dreams. Contact us for a free consultation.